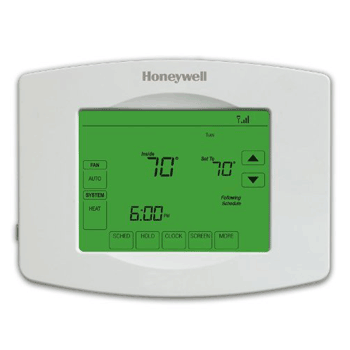 Although all the thermostats we have reviewed do have differences in what they do and how they do it, the same basic principles apply whichever thermostat you choose. 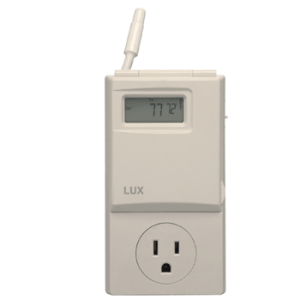 The only exception to this general rule is the Lux WIN100 Heating & Cooling Programmable Outlet Thermostat which is used on portable heating and cooling systems and simply plugs into an outlet. What you need to do is as follows. 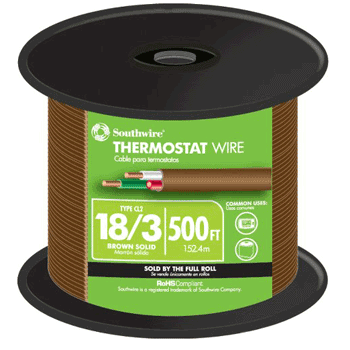 Many manufacturers suggest that you take a photo of the wiring to your existing setup, but to assist they usually supply stickers to mark the wires. When you disconnect the wires, either tape them to the wall or wrap them round something like a screwdriver to prevent the possibility of them falling into the wall cavity. This just unscrews from the wall. It is likely that you will need to remove the screw anchors as the new back plate hill have the hole is different positions. 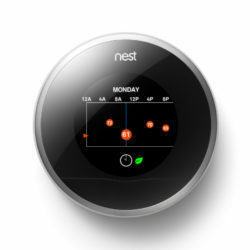 If you are fitting a Nest Learning, 2nd Generation (link to review), which is round compared to the conventional rectangle you can use the supplied back plate cover if you wish or patch up the area where the old back plate was. With older thermostats that contained mercury, it was essential that the back plate was level. 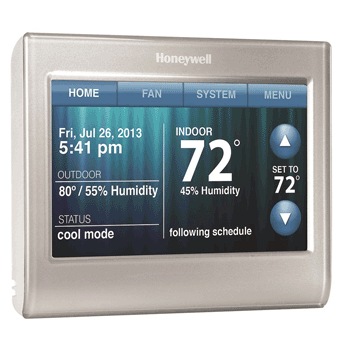 With the new thermostats, which do not contain mercury, this is not as important for their operation. However, this is likely to be on your wall for many years so it is worth taking the time to make sure that it is level. Connect the wires to the same letter on the new back plate. 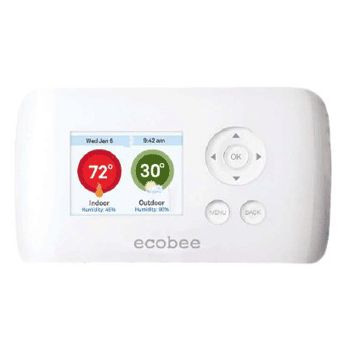 Not all programmable thermostats need a ‘C’ wire, but most Wi-Fi enabled ones do. Ideally the thermostat that you removed had a ‘C’ wire connected. 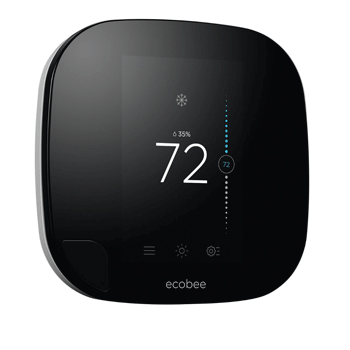 If not, and you are not fitting a Sensi Wi-Fi Smart Programmable Thermostat 1F86U-42WF which does not need a ‘C’ wire, check out our article ‘What is a C-Wire and Why do you need one?’ for alternatives if you do not have a ‘C’ wire. 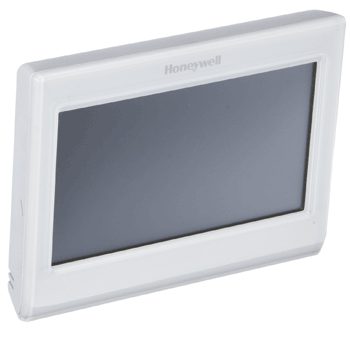 The new thermostat will either click into place or may need to be secured by small screws. 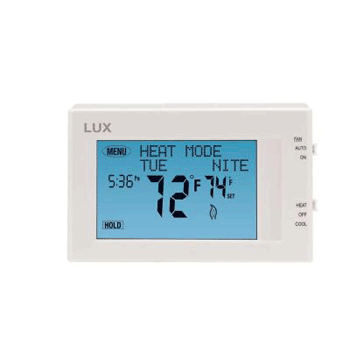 Once attached the thermostat should turn itself on. 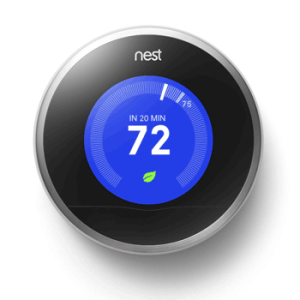 The thermostat will now run through a check list to make sure that it correctly recognizes your heating and cooling system and that all the features are working. You will need the name of your network and the password to enable you to connect to your home of office Wi-Fi. Once connected to you Wi-Fi network different manufacturers have slightly different methods to register your thermostat. 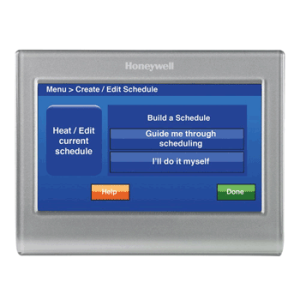 With Honeywell models such as the Honeywell Wi-Fi Smart Thermostat you need to register the thermostat through an account (you will be prompted to set one up if you don’t already have one) before you can control your thermostat remotely. 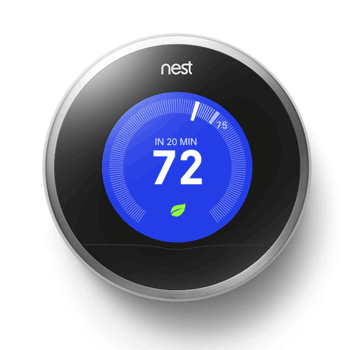 With the Nest Learning, 2nd Generation you can register your device through the app. 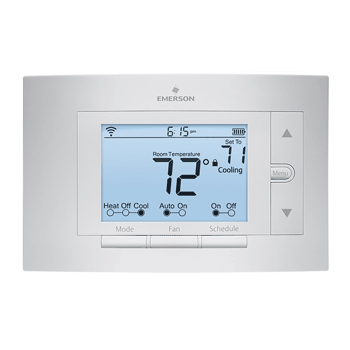 All the thermostats come with a preset Energy saver recommended program installed. You can adjust this to suit your personal requirements for times and temperatures, either at the thermostat or via a smartphone, tablet or computer if you have a Wi-Fi enabled model. 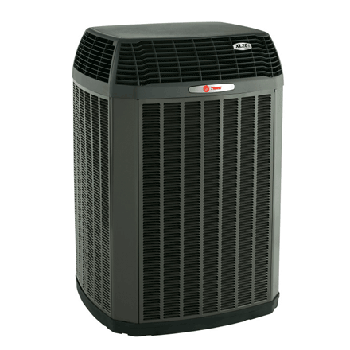 In most cases, it will take about 15 to 30 minutes to physically change the thermostat. 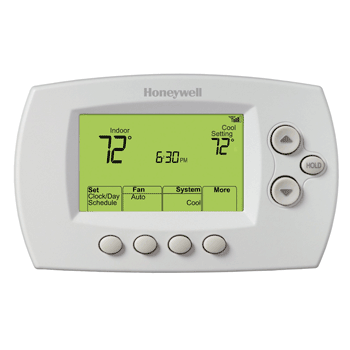 Many older thermostats contain highly toxic mercury. It is a requirement that these are disposed of safely at approved disposal sites. Check your local area for the regulations that apply where you live.